The beautiful Alicante on the Spanish Costa Blanca is an ancient city located on the coast with a beautiful yacht port and a broad quayside esplanade. White sandy beaches, dramatic mountain landscapes and caves, and a historic centre full of cultural sites are the main attractions to be found. 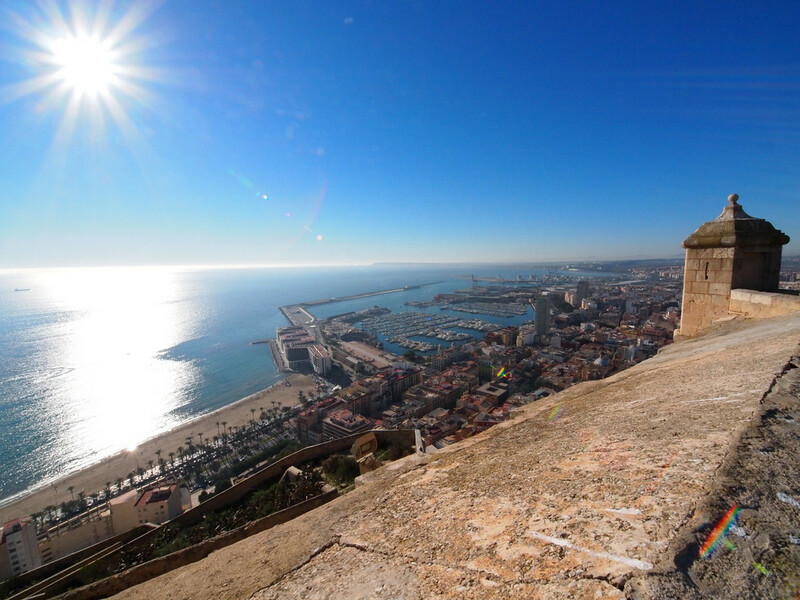 From the Castle of Santa Bárbara you can enjoy impressive panoramic views of the sea, as well as the entire city of Alicante and the towns of Santa Pola, San Juan and even Benidorm. The castle walls also contain the Museum of the City of Alicante, where you can learn about the castle's history and the development of the city. You can reach the top of the castle on foot or get tickets for the lift, which is free for people over 65 years of age (ID required). Until September 30th, the castle opens Monday to Sunday from 10 am to 10 pm.